I’m definitely a backpack-over-handbag kind of girl, throughout high school I suffered with my unpractical handbag.. having so much stuff but so little room you have to have a suitable highstreet clothing shop plastic bag (Hollister was always a keen favourite in my school) or walking home to a strap breaking from the sheer weight of all those books. In year 11 I ended my suffering by buying a rucksack, and I’ve been a fan ever since. 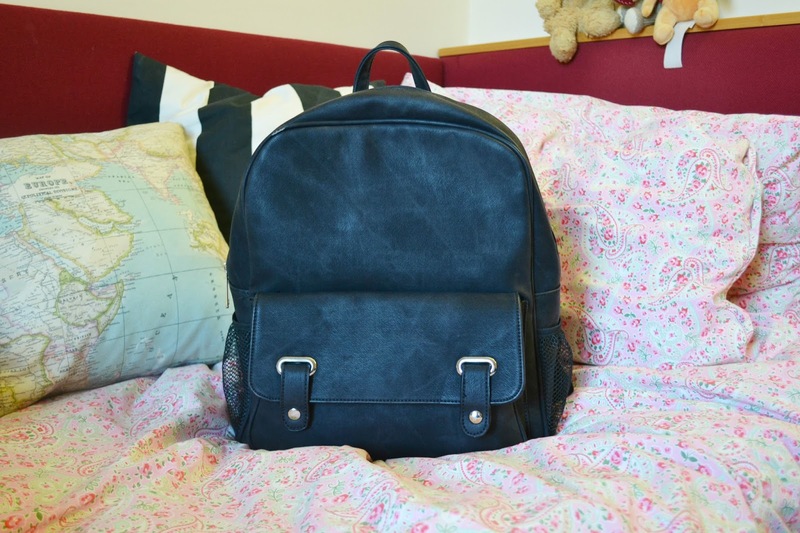 This Christmas I decided it was time to purchase another backpack which I could use at uni. After pondering on a few websites I chose this one from La Moda, and I can’t praise it enough. Although a gift, at £19.99 it’s ridiculously inexpensive, it’s the perfect size for all my books and also has plenty of nifty little pockets inside to hide my keys and phone – there is nothing worse than rooting in the bottom of your bag for them! It does have a slight bit of wear and tear on it, but I’m willing to overlook that. I’d never purchased from La Moda before, but after this experience, and by the looks of all their beautiful backpacks they have online, I’m definitely keen to purchase again! !